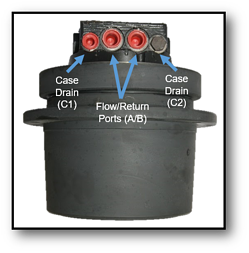 What is a hydraulic motor case drain? The case drain line is a low pressure hydraulic line that runs from the final drive motor back to hydraulic fluid reservoir. 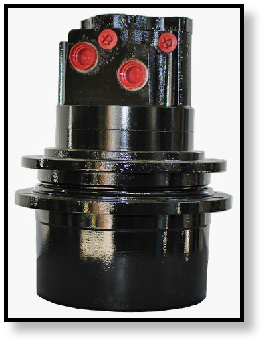 Its purpose is to carry away excess internal leakage of hydraulic fluid from the final drive motor, a process known as case drain. Case drain is especially important on piston motors because, without that small amount of leakage, the pistons are functioning as metal on metal. Not all hydraulic motors have a case drain line, though. For those that do, it is important to regularly check and change the case drain filter. Damage from a clogged case drain filter can quickly run up hundreds or even thousands of dollars. How do hydraulic motors typically fail? There are several different causes of hydraulic motor failure. 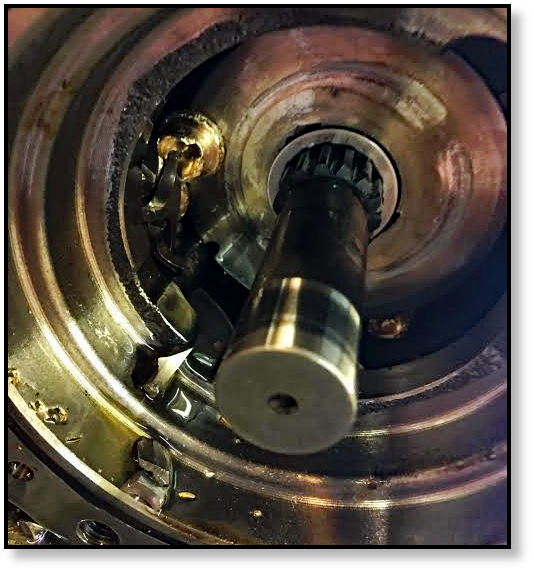 Here at Texas Final Drive, many of the catastrophic failures we see can be traced back to a failed seal that allowed fluids to leak out and damaging contaminants to make their way in. Another major source of problems is a clogged case drain filter. Issues with gear oil in the planetary hub (either it's low on gear oil or gear oil needs to be changed) are another major source of problems. What is hydraulic motor displacement? Displacement is the volume of fluid needed to turn the output shaft of the hydraulic motor by one full rotation. You will typically see displacement reported in cubic inches per revolution or cubic centimeters per revolution (keep in mind that 1 gallon is 231 cubic inches). Lets say that a hydraulic motor has a displacement of 16 cubic inches; that means that 16 cubic inches of fluid (about 0.07 gallons) of hydraulic fluid will need to be displaced to turn the motor one revolution. How are hydraulic motors rated? The key characteristics of hydraulic motors are displacement, pressure rating, torque, flow rate, and power. For a particular hydraulic motor, the displacement will be fixed or limited to a range, as in the case of a variable displacement motor. The pressure rating will also be fixed. The torque, flow rate, and power are related to these fixed characteristics. How does a hydraulic motor differ from a final drive? Some people may use the terms hydraulic motor and final drive interchangeably, but they aren't exactly the same. 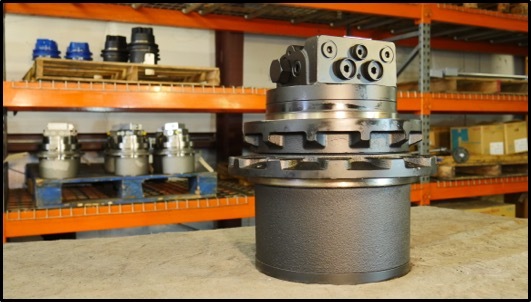 A final drive usually refers to a hydraulic motor that has a speed-reducing planetary gear system attached to it to increase the output torque. We've only covered five of the most common questions about hydraulic motors. If you have any hydraulic motor questions, why not mention them in the comments? We'd love to hear what kind of topics you'd like to have addressed in future blog posts.